Vivianna Graham’s story is a chilling account of the torment young families are routinely being put through in the USA on wrong allegations of shaken baby syndrome. This is a story that is familiar to Indians techies going to the US – parents being accused of abuse when rushing their babies to hospital with seizures or other serious conditions. As reported earlier by the Sunday Guardian (see this report Unfeeling US Agencies Confiscate Children from Indian Parents), these families are managing to prove their innocence in the US courts, but only after months of enforced separation from their traumatized children, with the ever-present threat of forced adoption if they lose in court. For more information on Indian families targeted by US child protection agencies, see Report on Indian and Indian-Origin Children Confiscated by US Child Protection Agencies and for general information on US child protection agencies see here. For more information on Shaken Baby Syndrome see here. This article appeared in two parts in the Sunday Guardian, the first part on 20 January 2018 (with the title And then, Child Protection Services took my baby away ) and the second part on 27 January 2018 (with the title They did not succeed in breaking us as a family as part of our ongoing series with them called ‘Global Child Rights and Wrongs’. The baby at the centre of this story, Tristan, was the Graham’s first born. Like many new parents, new mothers especially, they were excited about their newborn and took many photos of him, sharing them with their friends and relatives on Facebook. So, quite by coincidence, we also have a running photo documentary of little Tristan’s life from the time he was born to the very day he suddenly had a seizure and was rushed by his parents to hospital. The photos show Tristan to have been thriving, loved and happy till the day of this seizure. 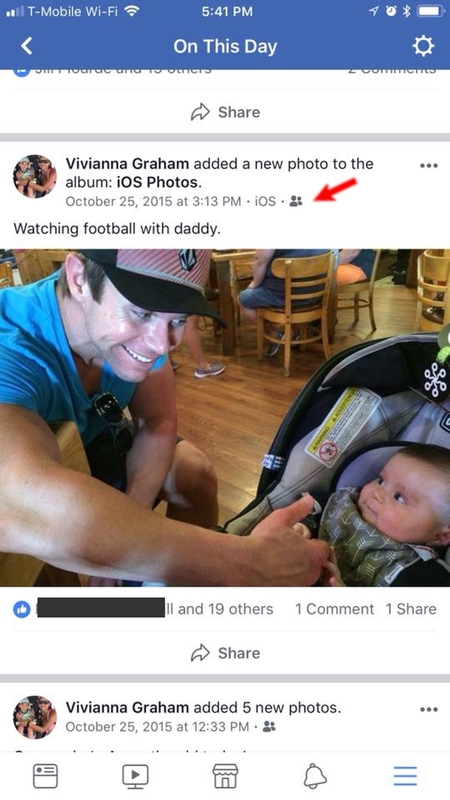 The photo of the baby with his father at a restaurant that was taken just a few hours before his seizure, makes us wonder, not unreasonably, as to whether it makes sense to claim that moments later when the trio came home, the father flew into a rage for no apparent reason and viciously shook him! Tristan fretful for his fourth-month anniversary picture, a few hours before he had a seizure. 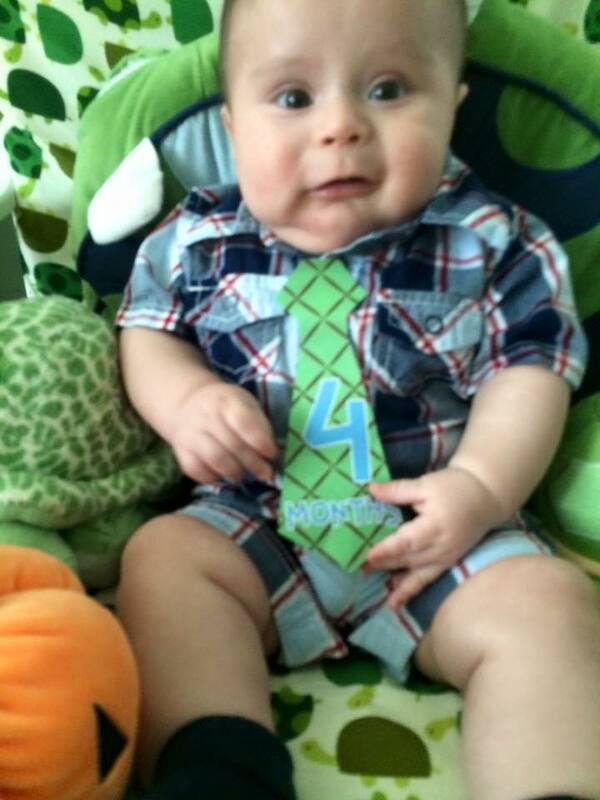 Our nightmare started the day Tristan turned four months old, October 25, 2015. That date is forever engraved in my memory. That morning, Tristan woke up irritable which was not like him as he was generally a happy baby. My husband, Jeremy, and I thought he was teething and gave him Tylenol. That seemed to make him more comfortable. I dressed him in his special fourth-month anniversary tie and outfit to take pictures. Like all new parents, we were excited about our firstborn. We took pictures of a slightly fretful Tristan and went out for an early meal. Photo at restaurant where the family went for a meal shortly before Tristan’s seizure. It seemed like any normal day, with me blithely taking photos of Jeremy and Tristan at the restaurant and sharing them on Facebook. We had no idea that in a few minutes our lives would be turned upside down. We rushed Tristan to hospital by ambulance. They did a CAT scan and gave us the devastating news that he had bleeds in his brain. I remember crying because I didn’t know what that meant for our son. A Child Protection Services (CPS) investigator came in to question us. She said that in incidents where the baby is less than two-years-old, this is the protocol for the type of internal bleeds found in Tristan. We answered all her questions, describing what had happened. As we were waiting for Tristan to be discharged, the hospital told us that they were waiting on the child abuse doctor, Dr. S [name redacted], to go over the records. She came into the room and I remember she was the only doctor that made Tristan cry. I could not believe she was a pediatrician seeing how aggressively she handled him. I remember thinking, how could this be a child abuse expert?! She examined my son for just five minutes and then announced that what we said had happened, couldn’t have happened! She questioned everything I told her: “Why did I pump and not breastfeed” and “Why didn’t my husband freak out when he saw Tristan having seizures.” My husband is a decorated paramedic. He is trained not to panic in emergencies. As the doctor stormed off, I shrugged it off as just rude behaviour. 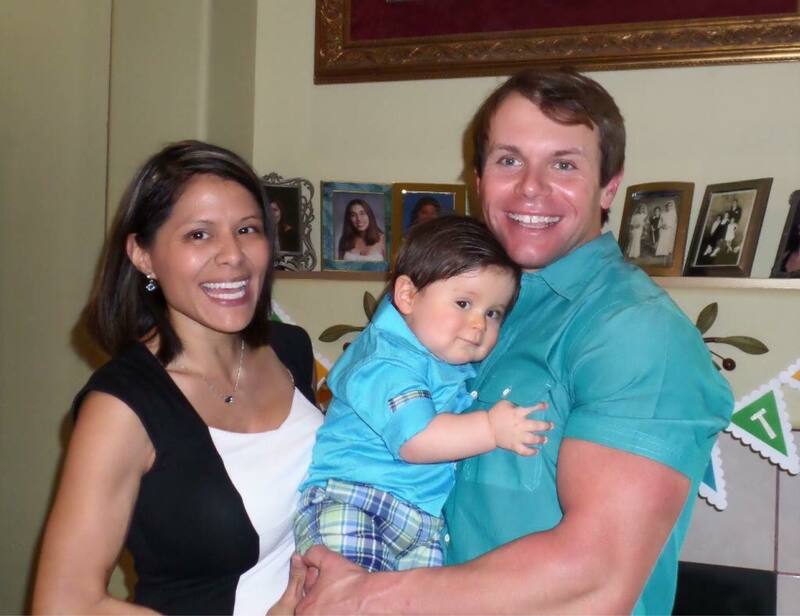 We had conceived Tristan after years of trying, my undergoing many surgeries and two cycles of in-vitro fertilization. Our son was longed for and loved. It was unthinkable that anyone could accuse us of abusing him. A few hours later, the CPS investigator came in and said that Dr S had told her Tristan’s bleeds had to have been “inflicted”! I was shocked. We had been expecting to get discharged all that day from the hospital. Then the CPS investigator said we needed something called a “Safety Plan” if I wanted to bring Tristan back home with me. Under the Safety Plan my husband would have to move out of the home and I was to supervise any time he spent with Tristan. I could not believe what was happening, but we agreed on the plan so I could bring Tristan home. At this point one of my friends told me we needed to get a lawyer, and it was at her urging that we did so. She warned us that this is serious and we were naïve to think that us being open to anyone and letting them come into our home for any type of investigation knowing we had nothing to hide, was going to clear things up. Jeremy was made to sound like a monster. When Jeremy turned himself in, the police captain said he had to tell the news about our case. My husband is a fire fighter paramedic for another department and they wanted to plaster his picture all over calling him a “child abuser”. That day the story was broadcast with Jeremy’s picture on every local station. They ran the story to make it sound as though Jeremy was alone at home with Tristan when the seizure happened. They did not mention that I was there too. Jeremy was made to sound like a monster. But this, unfortunately, was not the worst that was to happen. I was in shock, and to see five police officers standing outside our door was even more intimidating. 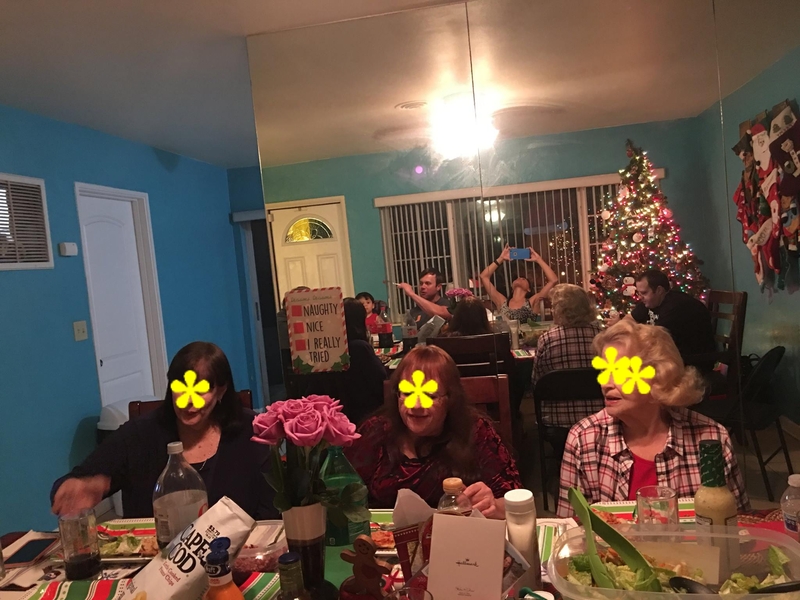 I came out to find out what we had done, or what the CPS investigator was accusing us off. But she kept saying she had different sources telling her things and that they needed to take Tristan. We were crying and shaking. Jeremy called his criminal attorney who said it was better to work with CPS or it would end up worse. And then CPS took my baby away. I was hysterical and calling my friends to see what could be done. How could the system take our son without saying what we had done wrong? That was the most horrifying day for us. We felt blindsided. We didn’t know what else we were up against. You have no idea what you are up against, until it happens. We live in a society were we are taught to believe that the system is not flawed and it will be just. But anyone that is accused of being a child abuser is guilty from the start in the eyes of the system. The next day at court, custody of Tristan was given to a family member who we found out had something to do with him being taken away. She was with me at the hospital when the Safety Plan was being discussed. Without telling me, and possibly in violation of the law, CPS had been in touch with her independently. They scared her into believing that my husband was a “danger”. She thought that CPS would only take Tristan away from my husband, but the courts always seem to think that mothers are the victims when they don’t go along with accusations against the husband. The court issued a “no contact” order against Jeremy. I was permitted to be around Tristan only if supervised by family members. Jeremy was allowed to hold Tristan one last time in court as he fell asleep. That was the last time in weeks that Jeremy saw Tristan. she says everything is abuse. Tristan was a big baby, nearly 18 pounds at 4 months; well-fed and healthy. I never understood how this doctor was the sole deciding factor in our case. No one had contacted my son’s regular doctors. Tristan was a big baby for his age – almost 18 pounds (8 kg) at 4 months. All his doctors’ reports noted his large size and how he was a well-fed, healthy baby. Even the pictures I took on the fateful day show him to be unhurt, thriving and loved to within minutes before the seizures. But none of that seemed to count against the word of this one doctor who had seen Tristan for just five minutes. CPS investigator refused to conduct the Home Study for family placement saying she is going to Hawaii for two weeks! I began work to place my son with a family member that I trusted. In order to get a placement, you need a Home Study by CPS of the person proposed. But our CPS investigator told me that she was unable to do another Home Study as she was going to Hawaii for two weeks! She also threatened that if I tried to change Tristan’s placement, they would put him in foster care. I was frightened, but my attorney assured me they couldn’t do that and filed the motion for a change of placement. At the court hearing to change the placement of my son to my aunt the state prosecutor tried hard to convince the judge not to give me permission to stay in her house saying that I would sneak my baby in the middle of the night to see his father! Luckily, the court allowed me to live in my aunt’s house with my son. Jeremy allowed to hold Tristan in court briefly during a hearing. While we were waiting for a court date, I started researching this “shaken baby syndrome (‘SBS’)”/“abusive head trauma (‘AHT’)” that Dr. S had said Tristan had been subjected to. I discovered that families around the USA were accused of the same thing all the time. All our stories were very similar, down to the age and how it all started with seizures. Doctors were attributing certain types of internal bleeding in children to parental abuse. I learnt of medical research showing such bleeds to be for non-abuse reasons, but child abuse doctors affiliated with children’s hospitals were continuing to misdiagnose abuse or ignoring tests that would indicate non-abuse causes for them. In our case, three doctors testified that Tristan’s bleeds were owing to fluid collections commonly associated with infants, especially those with large heads. In rare cases, these bleeds cause seizures. Department of Children and Families pretty much told us if we wanted to get our son back, we had better not take the case to trial or even mediation. 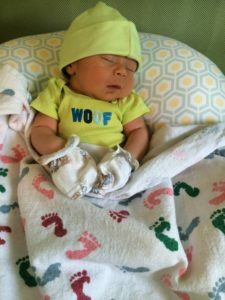 Before the court date, the Department of Children and Families (DCF) pretty much told us if we wanted to get our son back, we had better not take the case to trial or even mediation. They told us to agree to a “Case Plan” drawn up by them. They said having a Case Plan meant we were not admitting guilt, but also not saying nothing happened. It was like dangling a carrot before us. Our only wish was to get our son back as quickly as possible. DCF told us it would take a year to complete the Case Plan. But they made it sound like it would take longer to get our son if we went to mediation or trial. We just wanted this nightmare to end and agreed to the Case Plan. The system decides on what is needed to make money from parents trying to get their kids back. The Case Plan involved our spending money on “counselling” and “therapy”. My husband’s “no contact” order was lifted, and he was able to have his first “therapeutic session” with Tristan, at a cost of $60 an hour. They found us a dirty place and had no idea what kind of “therapy” to do with my son at the time as he was just 6-months-old and not even talking! It was a joke. The system decides on what is needed to make money from parents trying to get their kids back. About four months after my son was taken, in March 2016, I went to court again saying the Case Plan was nearly complete and I was reunified with Tristan. This meant I was able to move back into my house with him, but my husband had to move out with a friend of his. Tristan allowed by court to see his father for a few hours on Easter 2016. 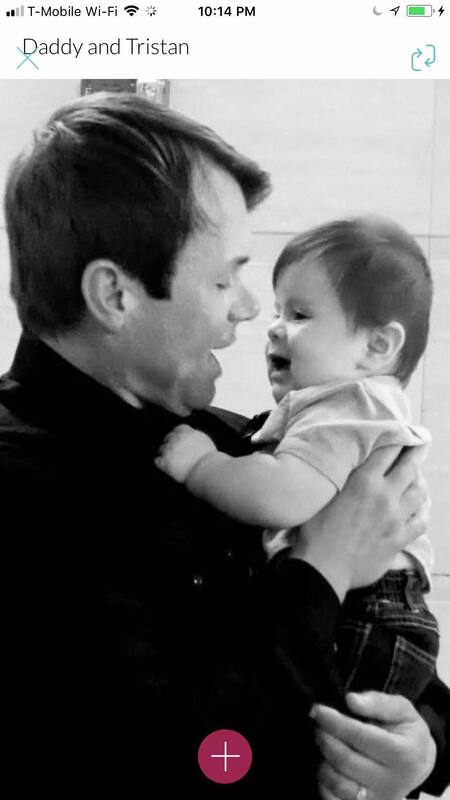 During this time, my son and husband now had so-called “parenting classes” added to the “therapeutic sessions”, where he would sit in a room and play with Tristan. While we were dealing with the case I had to go on extended unpaid maternity leave from my job in a school working with autistic children. 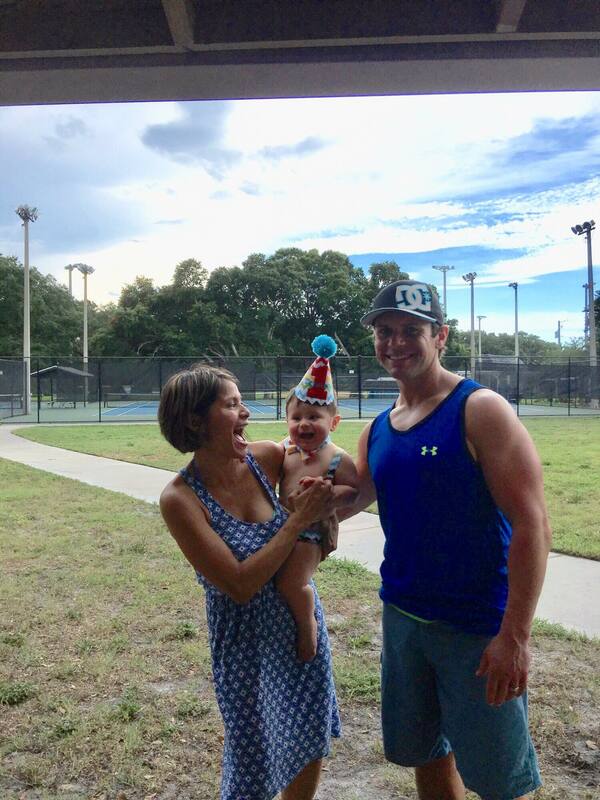 Tristan’s first birthday, with the family still under the shadow of the DCF “Case Plan” even though his father had been cleared of the accusation that had brought DCF into his family’s life in the first place. In May 2016, 7 months after the nightmare began, we received word that a “no information” was filed in the criminal side of our matter. A fortnight later my husband was permitted by court to return home, but the DCF’s Case Plan continued even though my husband had been cleared of the accusation that had brought DCF into our lives in the first place. It was another six months before the DCF case was finally closed. Every Christmas I send cards to the accusing doctor and police detective. My son is now 2 ½ years old but we continue to feel the emotional and financial damage of the case on our family. 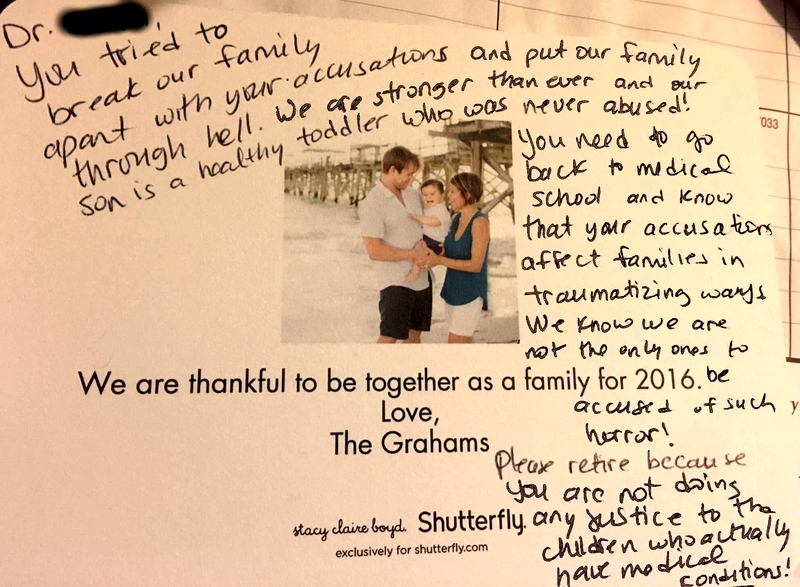 Every Christmas I send cards to the accusing doctor and police detective with a picture of us telling them they did not succeed in breaking us as a family. This year, to my surprise, I got a card back from the accusing doctor admitting that “perhaps I need to be more careful to consider gray areas” in cases like ours! 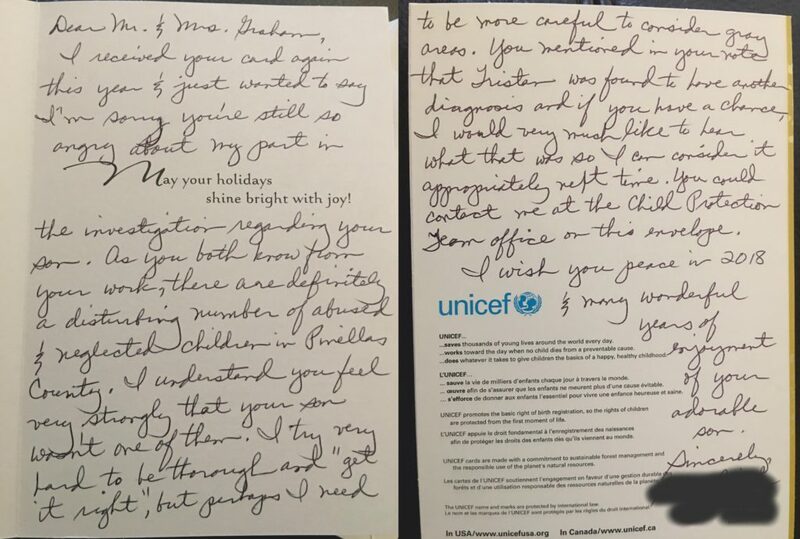 The card had a UNICEF logo. 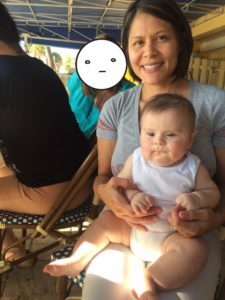 “perhaps I need to be more careful to consider gray areas”: Accusing doctor replies admitting gray areas in shaken baby syndrome but continues accusing families of the same. Though the doctor used fine words wishing us “many years of enjoyment” with our son, she continues to accuse families in the same way. I have had a few families contact me saying that the same absurd accusations of shaken baby syndrome have been made against them based on this doctor’s opinion alone. Doctors have immunity and can get away with saying “abuse” in any case and the government makes money off families trapped by them. It is getting worse now as I am seeing that families accused after us are having their children put into foster care, even though there are many family members ready to take them. Foster care is also a way of making money. In many States in the USA if a child has spent more than a year in non-family care, they are liable to be adopted to strangers. The system is a corrupt cesspool filled with many doctors making wrong accusations and child protection agencies profiting from it. Tristan’s family after the nightmare….so many people he might have lost had his parents lost the case. 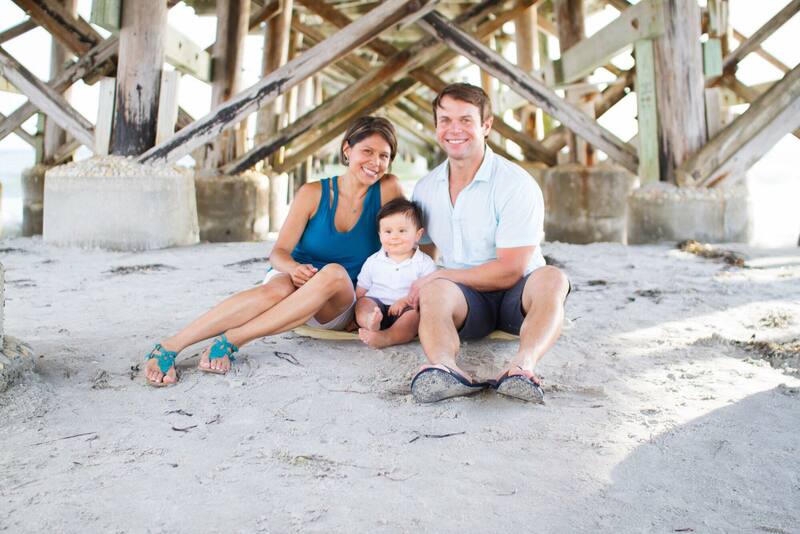 Vivianna Graham is a Special Education teacher in Florida, USA. There have been cases in which the baby is photographed or videos have been taken almost daily during its massage or bath – this actually gives full-body visuals in real time of the baby which can counter allegations that there may have been injuries inflicted earlier on the baby which the parents hid. This is relevant in shaken baby syndrome allegations where the abuse diagnosis is based on the claim that in addition to the bleeds or injuries for which the parents brought the baby to hospital, there is also evidence of older injuries such as “old” internal bleeds or healed/healing fractures. In some shaken baby allegations the clincher according to abuse experts is that there is no external bruising on the baby. This is because the theory behind shaken baby syndrome is that the internal injuries are caused by harshly shaking the baby (in anger or frustration) of which evidence is provided by the fact that there are internal injuries but no external such as bruises or scratches. But photos taken by parents in the normal course can show that in fact there was bruising which the investigators failed to note. For example, in one case where there was bruising, the investigators failed to show up until after a holiday weekend. When they finally visited the baby in hospital, not only had the bruising lightened, but the baby’s forehead (which had bruises from the fall) was covered under a bandage-like apparatus which was part of the system being used to measure its brain activity in the hospital. So the investigators missed the bruises entirely and claimed abuse with the finding that there was no bruising. Later in the same case, when the bandage came off and the bruises were noted, they were recorded as “old” bruises and hence further proof of abuse, even though the bruises were fresh at the time of the baby’s being taken to hospital!